When our daughter Beth brought home a four pound pit bull puppy I said, "Get that thing out of here, I don't want it in this house!" 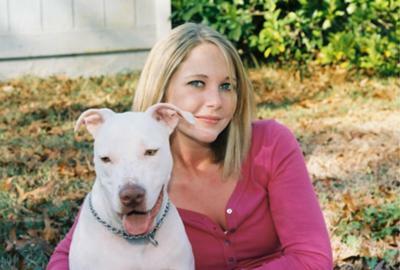 All I knew about pit bulls were the horror stories. But when I saw how much personality this boy had and how sweet he was and how he actually seemed to be trying to talk to us my heart melted.